Gaslamp Bartending School Downtown-Central Campuses. Downtown campus located inside BASSMNT nightclub. NEW* 2nd location-Central Campus in Kearny Mesa, conveniently directly off the 163 and 52 freeways and 2 minutes from the 805 and 15 freeways. Both campuses are THE SAME EXACT PROGRAMS! THE NATIONS #1 BARTENDING PROGRAM! 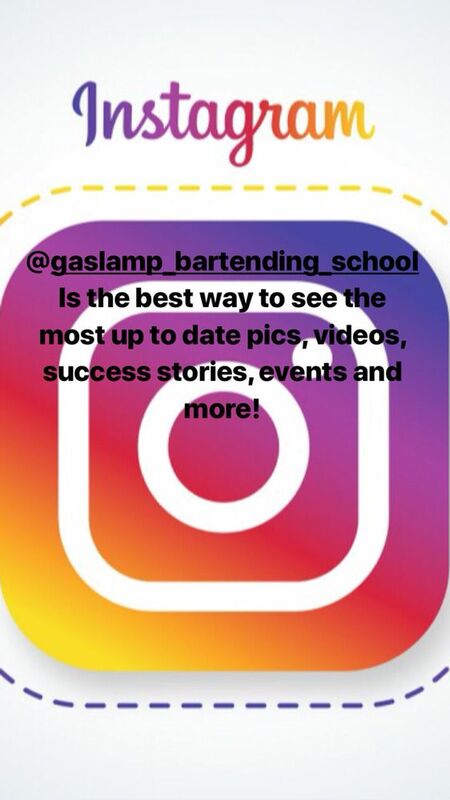 Gaslamp Bartending School is a one-of-a-kind program that provides the best Bartending training and success rate GUARANTEED! GBS is the ONLY school to feature: REAL/PAID BARTENDING EXPERIENCE in SD’s top bars, Live Service Training, Job Hunting Workshops, POS training, “17-18 winner Best Bartender” instructor, the top facility located inside Bassmnt night club and our NEW state of the art campus located in Kearny Mesa! GBS is owned and operated by San Diego’s top active bartenders and managers to give students the best insight to today’s Bartending world. We use our decades of SD industry connections to get students working in days. Read all about GBS below, simply put IF YOU’RE LOOKING TO BECOME A BARTENDER GBS IS THE PLACE TO GO. Watch this video and listen to former students describe their GBS experience. Includes footage of students bartending at SIDEBAR NIGHTCLUB as GBS hosted the evening for industry night! GBS DOWNTOWN CAMPUS: This is the top facility you're going to find in the Bartending School industry. With the amazing atmosphere of learning to bartend inside a REAL bar and not some strip mall, we are fully equipped with the best tools and most importantly Point of Sale Systems. GBS IS THE ONLY SCHOOL WITH POS SYSTEMS (computerized cash register, we train with Aloha the top brand in the industry). Having a REAL BAR and nightclub as our home gives GBS the unique ability to provide the students favorite "Mock Service" portion of the program. This is during class we turn on the lights, music, take away the books, bring in dj's and provide our students with their first feeling of real bartending! Get your first bartender experience in class before you even graduate. Placed inside the multi-million dollar mega club Bassmnt, you will find the bartending school of the best young bartenders in America! GBS CENTRAL CAMPUS: On 5/14/19 GBS will open our 2nd location in Kearny Mesa directly off the 163 CLAIREMONT MESA BLVD exit and 52 CONVOY ST exit. The Clairemont Mesa Blvd exit off the 15 and 805 freeways are within 2 minutes from our facility as well. Owner Nino Nunziante was able to team up with the nations top bar architect to design a stat-of-the-art bartending school. Complete with a REAL bar and the same exact REAL bar set up and equipment as our downtown facility, this is not a wooden bar with improper tools. We also include an actual classroom equipped with flat screen TV’s for power point presentations and white boards for lectures etc. Plenty of free parking directly in front. *NOTE ALL CENTRAL CAMPUS CLASSES WILL HAVE 1 CLASS AT THE DOWNTOWN LOCATION AND WILL BE ELIGIBLE FOR ALL OF OUR GASLAMP EVENTS AND LIVE SERVICE TRAINING AT BASSMNT. We will also be hosting similar events in our Kearney Mesa area! Only at GBS: OUR JOB PLACEMENT PROGRAM HAS STUDENTS WORKING IN DAYS! THE REASON GBS STUDENTS ARE READY FOR BIG TIME BARTENDING IS NOT ONLY THE SYSTEM. GBS WORKS WITH EVERY STUDENT FOR AS LONG AS IT TAKES. REGARDLESS OF THE CLASS LENGTH CHOSEN, STUDENTS WORK WITH US (FOR NO EXTRA FEE) UNTIL THEY REACH OUR STANDARDS TO BE A SUCCESSFUL BARTENDER NOW! READ THIS FOLLOW UP FROM RECENT GRAD LAUREN (ABOVE), NOW BARTENDING AT MAVERICKS BEACH CLUB IN PB, THE #1 PB BAR! "I am currently bartending at Mavericks Beach Club in Pacific Beach, I was hired the week after I finished my course with GBS. GBS taught me everything I needed to know to get started. Recipes, how to pour drinks quickly and efficiently, and all the little details. I was confident going into my interview with the help I received creating my resume and learning about possible interview questions. The skills I learned at GBS have been monumental in my success. I wouldn’t be able to bartend at such a high volume venue without the fundamental skills and tricks I learned at GBS. I chose GBS because they allow you to learn the Aloha POS system, and that was something that was particularly unique compared to other bartending schools. I also learn best when I can physically do the task at hand, so being able to use real bottles in a nightclub environment was very realistic and easy to transfer to my bartending job. My experience was a 10/10. I achieved everything I was told I would, and more. My new job has been a game changer for me financially. Thank you GBS!" Our success rate is our motivation! We want our students working just as bad as they do, so when it comes to providing job interviews it makes us just as happy! Our connections and relationships with local businesses is endless and makes so many of these Bartending success stories happen. Read previous students success stories and how our job placement program works here! Only at GBS: WE ARE THE ONLY SCHOOL TO PROVIDE REAL & PAID BARTENDING EXPERIENCE AT SD’S TOP VENUES! GBS host events through out every month at both Gaslamp Fish House and El Chingon (voted 2018 San Diego’s Best Bar). These events are all about getting students real bartending experience, no school can give you that! This is not a wedding, your next to the best bartenders and because of GBS, bartending just as good or better! Your resume will now be able to say “Bartender” but so will your heart after this amazing experince! All you need to do is pass the class, hard work pays off at GBS! Our monthly GBS event at El Chingon is not only an opportunity to bartend high volume and get paid at SD’s voted top bar, but its also “industry night”, the weekly networking event and gathering for local hospitality professionals. This is a major move finding yourself from your couch or boring job to bartending at El Chingon in weeks! ONLY AT GBS! Cool video of one of the several venues we host at through out the year. At GBS hard work in class literally pays off (student on the left bartending at GBS held Atomic nightclub event. Read her review on yelp with pics). Students receive the chance to bartend all over San Diego and are provided with job interviews!! When learning how to bartend why not be instructed by the best! Nino Nunziante, Owner and Head Instructor of GBS, is the recent winner of the 2017 "Beast of the Beach" AND 2018 "Beast of the Bar", a competition to determine San Diego's top male bartender through nomination and competition. With his experience in the San Diego hospitality industry since 2002 Nino has crafted the most advanced and complete bartending program possible to create the top bartenders. A local that has been bartending and managing almost half his life, Nino has the programs connections deep in the San Diego hospitality industry and its hiring managers. Our Second instructor Eric has been is the San Diego hospitality industry for over a decade and is currently a bar manager and bartender at Bassmnt nightclub. Its great for students to get training from a active manager, gives great insight to today’s industry. GBS is REAL, we live, eat and breath this industry, you will not find better instructors guaranteed! FACT: If you CAN NOT ring in drinks properly, you CAN NOT BARTEND! Don't be fooled by schools the tell you its "easy", "every business teaches the pos", "there are too many pos systems to learn 1" etc etc. GBS is the ONLY school that provides in-class POS (compuerterized cash register) training (Aloha pos, the #1 most used system in America). We include using the POS into drills so students learn the rhythm of making drinks and ringing them in correctly. In the REAL world of bartending you can not make mistakes with the POS or money handling, this training is a must! The POS and everything in our program is free for lifetime refresher classes and practice time after graduating! Student compares previous bartending school experience in San Diego to Gaslamp Bartending School. Also describes the importance of the POS training now as a bartender 2 days after graduation. GBS is always finding ways to stay innovative and more helpful for our students. Our newest event is the “GBS ELITE” Bartending Competition. This pins our top students from GBS-CENTRAL vs GBS_DT on a Friday night behind the bar at Gaslamp Fish House. GBS hosts the event with special guest dj’s, art shows, pop-up shops and more to bring a packed house. The students split the tips but the winner gets an extra $150 and the coveted title of GBS-ELITE! This will also look great on your resume as a proven Bartender and feel better in your pocket! We want to make the best possible bartenders and events like this creates pro’s before they even start bartending. This events is a great representation of GBS truly changing the standards for bartending schools. You simply will NOT find the opportunity to do anything like this or any of our other events at any school in America. This ain’t a wedding, this is a REAL bar and competing for a job and cash! Only at GBS: All current SDSU students get $50 off! Just show ID first class!! 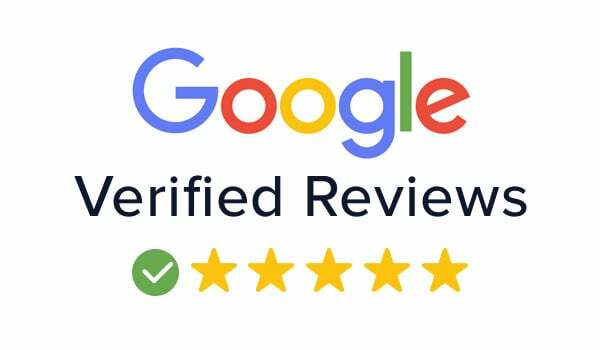 Reviews: 5 star reviews on Yelp, Google and Facebook! FOLLOW GBS ON INSTAGRAM, FACEBOOK OR YOUTUBE! BBB: We are members of the Better Business Bureau!